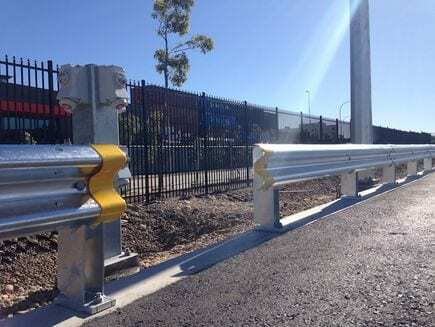 We are even able to provide customised warehouse safety barriers upon request. Rhino-Stop Type 1 – features an energy-absorbing, semi-rigid modular design. 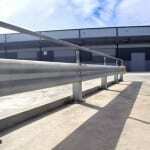 This warehouse barrier can be configured to accommodate a balustrade or mesh infill for fall protection if required. Increased system stiffness facilitates cross flow ventilation in high rise settings. 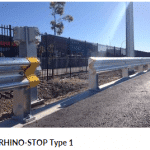 Rhino Stop Type 2 – the newest addition to our warehouse barrier range. 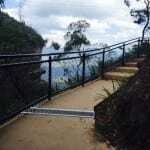 Fitted with pedestrian-friendly RHS post sections welded to a specially engineered, high impact absorbing base plate. 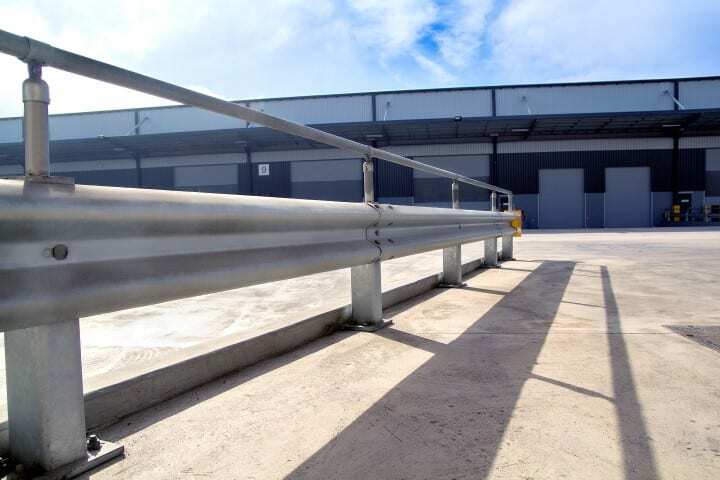 Requires only two anchor bolts per post to create an unbeatable hard-wearing safety barrier, preventing critical damage upon impact, and absorbing up to 40KN of impact load – making it the toughest warehouse barrier system available. Rigid Post Systems (Base plated) – constructed with robust post sections that can be installed in-ground or on base plates. Expertly crafted to provide a safety barrier with minimal dynamic deflection and safe vehicle containment. Our warehouse safety barriers feature a sturdy design that is specially engineered to withstand the toughest impacts from heavy vehicles for your peace of mind. They can also be manufactured to accommodate multiple rail configurations at various heights, to provide protection against high centre of gravity vehicles such as forklifts. 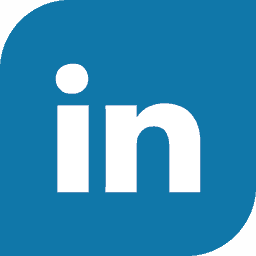 All our products are designed in compliance with Australian Industry Standards and are installed by our fully licenced expert team. 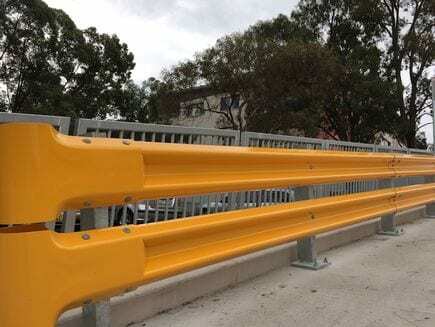 For more information on our range of warehouse barriers, or for a professional consultation with our staff about how you can make your workplace or project site a safer place, contact Metal Fencing Specialists today on 1300 904 284.